Description: From 4 to 10 feet tall. Leaves are oval, rounded or pointed with a tiny spine at the tip. 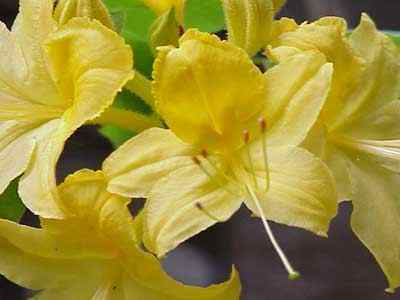 Flowers are in clusters and vary in color from yellow to bright orange red. 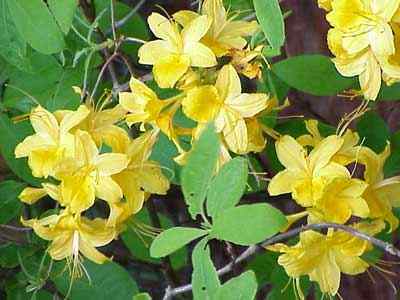 Also known as honeysuckle bush in the Southern Mountains.